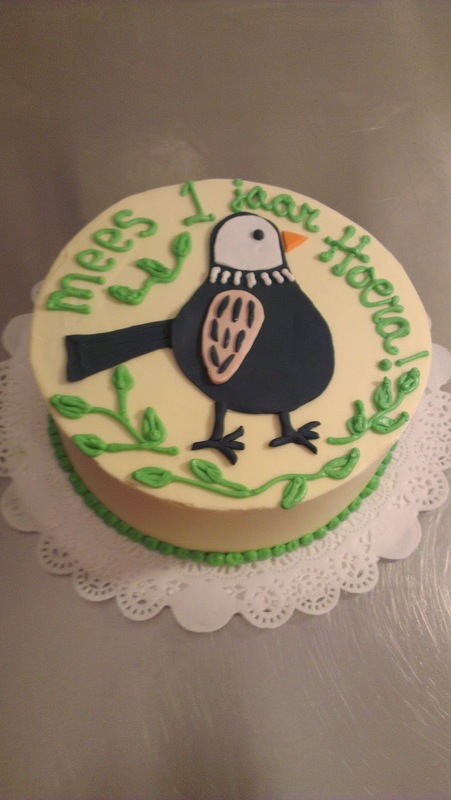 Cute stylized bird design based on birth announcement. Child friendly chocolate cake with less sugar and whipped cream sweetened with a little maple sugar and fresh fruits... buttercream made from raw sugar. Healthier and yet STILL decorated and delicious!